I originally wanted to avoid “over-celebrated” bugs such as butterflies and dragonflies. However, I decided to depict them as truly bug-like as they are, and while mating. It is the only painting in the series featuring two bugs. 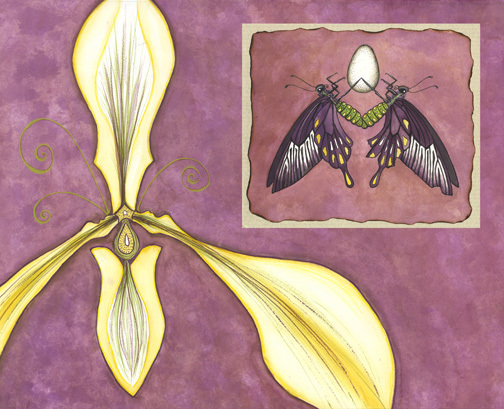 Initially I chose the subject matter with the orchid to celebrate sexuality – and it grew into (naturally) the celebration of creating life- weather it be a baby, an idea, or a project.